In these six discourses Srila Jiva Gosvami systematically presents the conclusions of the Gaudiya Vaisnava philosophy known as acintyabhedabheda tattva. 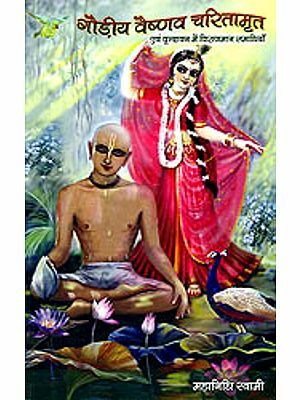 In Tattva-Sandarbha he lays the foundation for his presentation of the other Sandarbhas by establishing the Gaudiya Vaisnava epistemology, or means of knowledge. 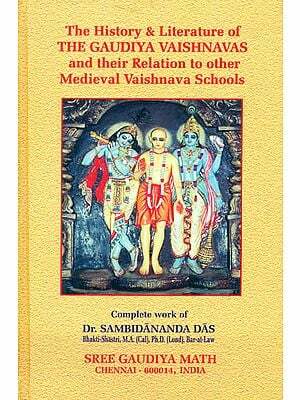 He proves that for the student interested in knowledge of the Absolute Truth, which is beyond sense perception and mental speculation, the valid means to get knowledge is by sabda-brahman and that the Vedas are the supreme pramana (proof). He then explains the practical difficulties in understanding the Vedas, and establishes that study of the Puranas is the solution, for they are as good as the Vedas, indeed they are the fifth Veda. Then by process of elimination he shows that among the Puranas only sattvika Puranas give clear knowledge of the Absolute and among them Srimad-Bhagavatam is the supreme. It is the essence of the Vedas because it is based on the Gayatri mantra and is the natural commentary on the Vedanta-sutras. Srila Jiva Gosvami explains Srimad-Bhagavatam as it is. To this end he uses a flawless technique, one that leaves no room to doubt the validity of his conclusions. First he has us consider the heart of the original writer, Srila Vyasadeva, and the heart of the speakers, Sukadeva and Suta Gosvamis. In light of that he analyzes the Bhagavatam incontrovertibly establishing the purpose of this topmost pramana. During this analysis Sri Jiva soundly refutes the impersonalism of Sankaracarya with logic and scriptural references. Other highlights of Sri Tattva-Sandarbha are: The characteristics of the atma are explained; Buddhism is refuted; the soul is established as conscious, eternal, unchanging, and distinct from the body; an analysis of the ten topics of Srimad-Bhagavatam as enumerated by Sukadeva and Suta Gosvamis to show the harmony between these two foremost authorities on the Bhagavatam; and that the real purpose of the Bhagavatam is to explain Lord Krsna. Altogether, SriTattva-Sandarbha has sixty-three anucchedas, or sections. Out of these the first eight verses are invocatory. Sections nine to twenty-eight discuss Bhagavata epistemology. Section twenty-nine to the end explain prameya, or what is the knowledge object of knowledge.